Here you can make a purchase of Mummified Raptor Skull mount boost in World of Warcraft, drops by King Dazar in the Kings' Rest dungeon with a small chance. 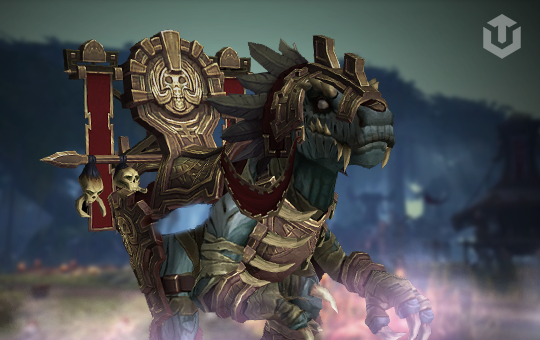 Mummified Raptor Skull carry provides you to get Tomb Stalker mount. "These fierce beasts are entombed alongside kings so they may carry their masters through the afterlife." Our team will farm this dungeon till mount drops. Accplay(Piloted): you share your login and pass to a driver that will play by your character. Driver may login to work at convenient time frames, so you may play whenever you want. We provide personal stream, so you may see all actions with your character. VPN software will be used for your account safeness. We don't ask your secret question, so your account will be protected from theft.